Cosmic strings are hypothetical topological defects in the space-time fabric, still remaining from the formation of the universe. With their help, in theory, a field of closed timelike curves can be formed, allowing travel into the past. 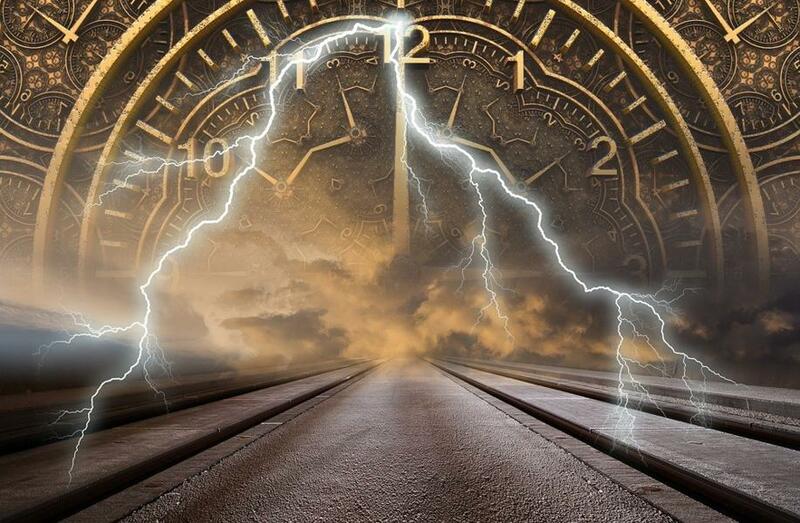 Some scientists suggest that cosmic strings can be used to construct a time machine. If two cosmic strings get close to each other or a single string reaches a black hole, in theory, a whole field of “closed timelike curves” can be created. If one follows a carefully calculated trajectory on a spaceship around two infinitely long cosmic strings, in the theory, he can get anywhere and to any time. Exotic matter is a matter, which is somehow different from the normal one and has some “exotic” properties. Since time travel is considered non-physical, scientists believe that the so-called tachyons (hypothetical particles, for which the speed of light is a state of rest) either do not exist or are unable to interact with normal matter. But when the negative energy or mass, that is exotic matter, twists space-time, all the incredible phenomena are possible: wormholes that can connect remote areas of the universe, time machine that will allow to go into the past, or warp drive, which will make it possible to travel faster than the speed of light. To use a time machine based on the Tipler cylinder, you need to leave the Earth in a spaceship and go to a cylinder, which rotates in the outer space. When one gets close to the surface of the cylinder, the space around which is distorted, he will need to go around it several times and return to Earth. Thus he will travel to the past. How far back in time he will go depends on how many times he will go around the cylinder orbit. Even if you feel that time is moving forward as usual, while you are going around the cylinder, you will inevitably move in the past outside the distorted space. It’s like going up the spiral staircase and finding out that with every full circle you are one step further down. A black hole has an incredible impact on the time, slowing it down as nothing else in the galaxy. In fact, it is a natural time machine. If a spaceship was going around the black hole and an Earth-based station was following that, the complete circle around the orbit would take 16 minutes. But for the people on board of the ship time would be going very slowly. Much more slowly than on Earth. Time for the astronauts could be delayed by half, i.e. for every 16 minutes they would have experienced only 8. According to Amos Ori of the Technion Institute in Haifa, Israel, space can be twisted to such extent that it is able to create a local gravitational field, which resembles a donut of a certain size. Gravitational field forms circles around this donut, so that space and time are twisted firmly. The point is that this situation negates the necessity for any hypothetical matter. However, it is quite difficult to describe what it would look like in the real world. Ori says that mathematics has shown that at regular intervals inside the donut a time machine will be formed in a vacuum. All you need is to get there. In theory, it would be possible to go to any time.